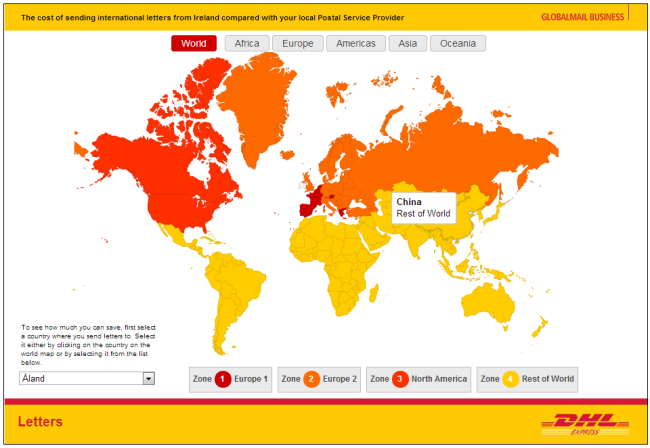 The DHL Tariff Comparison Tool allows DHL's customers to quickly visualize postal zone, and calculate postage savings compared with local postal providers. WCG:ITX developed the application in 2007, and provides the ongoing support, and rate table maintenance. The software currently runs 6 languages (Norwegian, Finnish, Swedish, Danish, Dutch, and English) and 5 currencies. Visitors first select the destination country for their mail. 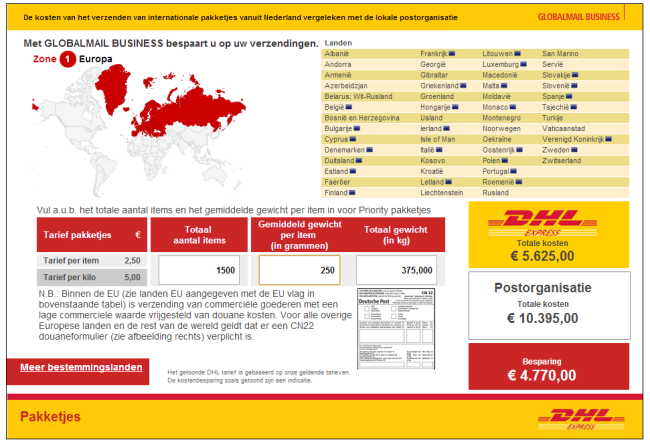 Next, by inputting the number of mail pieces, and individual pieces weight the software calculates the postage costs for sending the mail with DHL and the local postal provider, and highlights the savings.